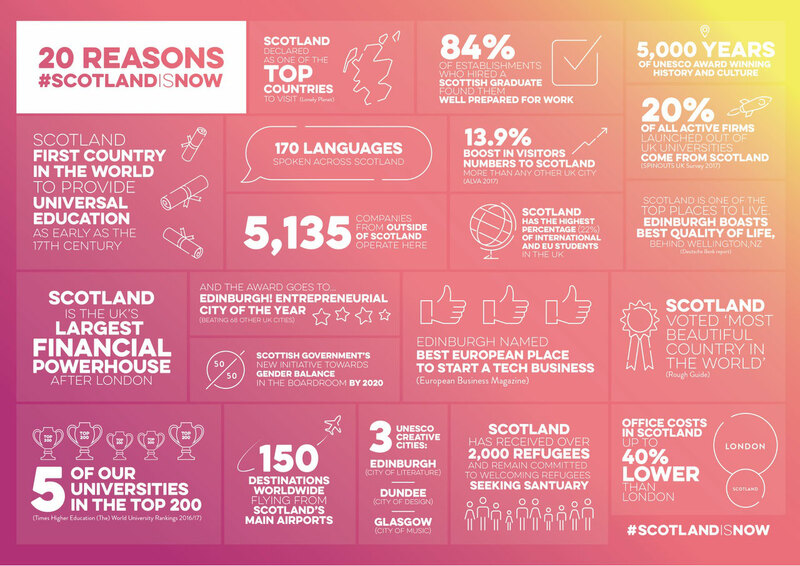 #Scotlandisnow wants to show the world what Scotland has to offer to visitors, students, investors and those considering making the country their home. They want to build Scotland’s global reputation as a ground-breaking and progressive world-class hub and they want everyone to get involved. 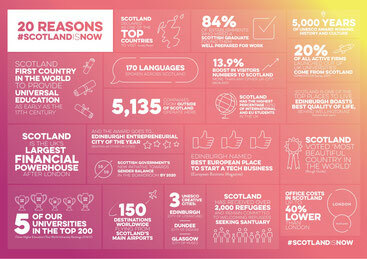 Scotland has been successful in attracting visitors, talent, students and investment. 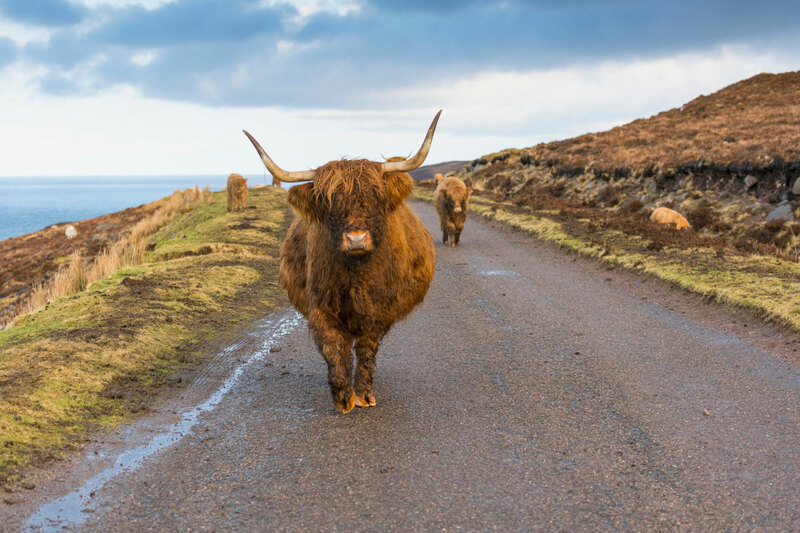 There has been a 24% growth in visitor numbers and an 18% growth in spend between 2012 and 2016, and Scotland is home to over 50,000 students from outside the UK. Scotland is consistently recognised as the most attractive place in the UK outside London for foreign direct investment and landed almost 16,000 new jobs through international businesses locating in Scotland in the last four years. To help achieve new success for Scotland, VisitScotland, Scottish Development International, the Scottish Government and Universities Scotland have come together and created a new campaign and identity for Scotland, Scotland Is Now.